Need to download bill of lading templates? You’ve come to the right place. We’ve created a free list of some of our favorite BOL downloads, as well as a few you can purchase online. We’ve used these all in some fashion ourselves and all should accomplish exactly what you need from a BOL. A bill of lading is sometimes abbreviated as B/L or BOL. What is a bill of lading and what is it’s purpose? A bill of lading is document that indicates goods and what type / quantity, was picked up and shipped. A bill of lading (BOL) also includes a signature area that the consignee has received the goods. BOL forms essentially track the delivery and contents of a load, so there are no issues between the shipping company, the receiver, and the sender of goods. A bill of lading does three things and it must be transferrable. Do I need a bill of lading form? Most trucking companies require a bill of lading form be filled out prior to leaving the goods pickup site. If no form is filled out by the warehouse/shipper, the trucker will often times create his or her own bill of lading. A BOL isn’t required by everybody, but they’re one of the best ways to prove a load was picked up and delivered. It’s always a good idea to keep a book of bill of lading templates in your truck, getting in the habit of creating one each time you pick up a load. Who issues a bill of lading? A bill of lading is typically issued by the company or organization who is sending out the goods. A trucking company may create a BOL form if none is produced by the company sending goods. What’s the best way to store completed bill of lading forms? Actually, one of the best ways to store completed bill of lading forms is via the use of cloud storage. If you’re a trucker, get in the habit of learning how to store documents using a service like Dropbox, or as we do, using Apple iCloud. The biggest benefit of storing completed forms on the cloud is they’ll never get lost. You can lose a hard copy or store them at your home and not have to worry about a form getting lost. Get in the habit of storing these forms in a safe location, it doesn’t have to be on the cloud (it just happens to be easy to do and organize) and someday your future self will thank you. How do you fill out a bill of lading? While looking at a BOL form can be intimidating for the first time, filling one out isn’t hard. You must know a few basic things to fill out one correctly. Shipper address, consignee (receiver) address, shipment details, carrier name, who pays the carrier and any extra instructions. If you have that information, you will be able to fill a B/L form out correctly. Best Websites for Creating BOL forms? We highly recommend the use of FormSwift to create your own BOLs. One thing to remember with creating them yourself, rather than purchasing pre made forms, is the fact that ordering them can be costly. What we recommend is that if you’re a solo trucker, just purchase a BOL short form on Amazon and storing them yourself using cloud storage or hard copy. 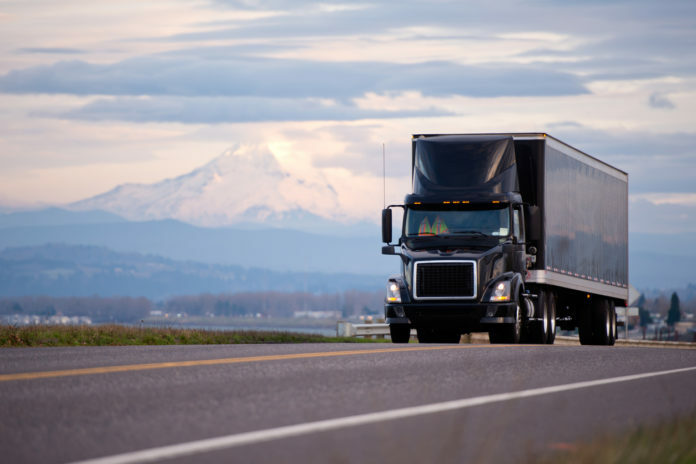 If you’re a large trucking company looking for custom BOLs, using FormSwift is a sound option. You can create a custom form and order it through any number of form printing companies. Of course, make sure you order 3 part forms that make multiple copies.